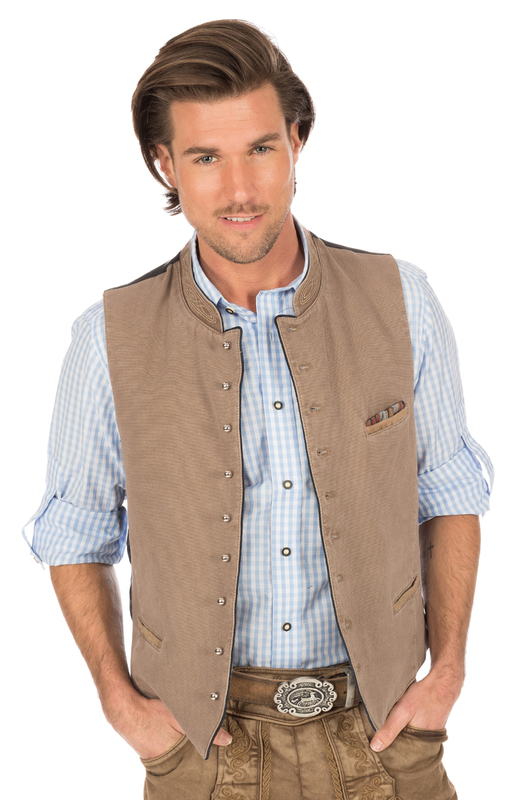 Casual traditional vest jeans colour brown. A great part of the design forge of Orbis costumes. Denim washed in a sporty look. Dark contrast piping on the west edges. 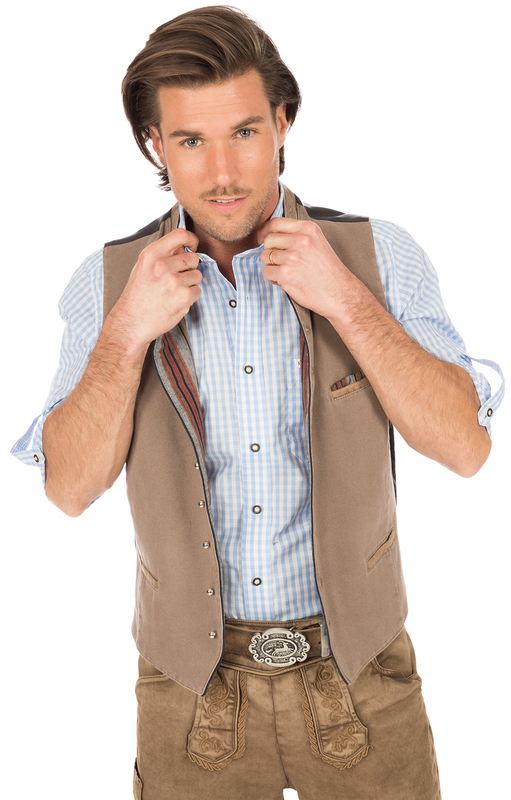 Embroidered collar and leather piped chest pocket with pocket handkerchief and 2 equally designed side pockets. 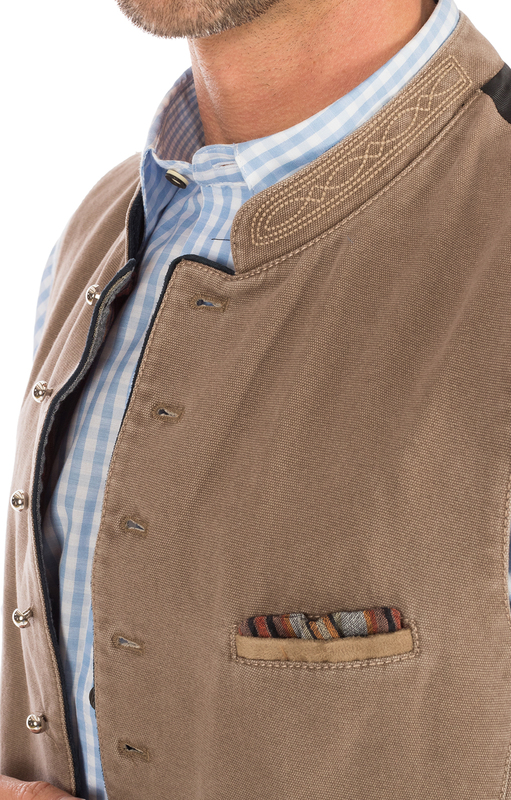 Small semicircular buttons are fancy detail. The back is made of black cotton satin and with a small bar in the width adjustable. 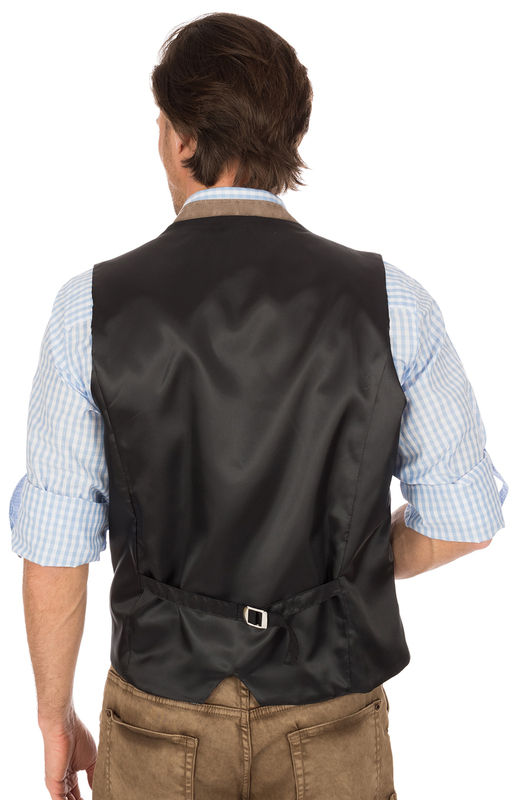 Also inside the vest is very high quality work, with contrast fabric and decorative borders colour matched to the vest.